Ret. Colonel William A. De Shields was born in Easton, Maryland, moved to Wilmington, Delaware in 1942 where he graduated from Howard High School in 1950. He entered Hampton Institute College and graduated with a B.S. degree in Business Administration. Upon graduation he entered the U.S. Army as a Second Lieutenant and bean a thirty-year career in the military. He retired on 31 August 1984, with the rank of Colonel (06). While in the military he served seven years in the Air Defense Artillery Branch prior to transferring to the Ordinance Corps. 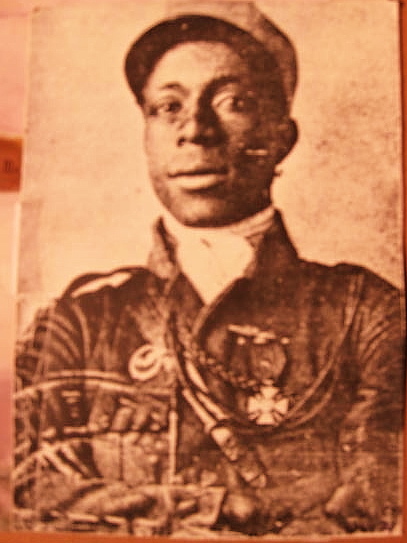 His foreign country assignments included Germany, Korea, The Republic of China and Vietnam. Some of his key military assignments were: Fire Control Platoon leader of a Nike Missile Battalion in Germany, Chief of the Target Missile Project in White Sands Missile Range, New Mexico; Commander of an Ordnance Company in the First Cavalry Division in Korea; Ordnance Guided Missile and Nuclear Weapons Staff Officer of a Pershing Missile Battalion in Fort Sill and more. His military decorations include the Legion of Merit with Oak Leaf Cluster Bronze Star Medal with Oak Leaf Cluster, Meritorious Service Medal, Joint Service Commendation Medal, Army Commendation Medal with Oak Leaf Cluster, the Vietnam Cross of Gallantry with Palm, and the Army General Staff Badge. 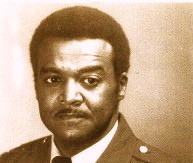 Colonel De Shields is a graduate of he Command and General Staff College and the department of Defense Race Relations Institute. He has a Master’s Degree in Human Relations from the University of Oklahoma. He is an FAA aviator for single engine aircraft. He hobbies are photography and lapidary. Colonel De Shields is married to the former Miss Effie M. Burton of Lewes, Delaware. They have two children, a daughter Denise De Shields Hardy and a Son Dennis. Black Navigation Cadets depart for a training mission. Hondo, Texas in 1944 Colonel De Shields is the Founder and President of the Black Military History Institute of America, Inc. An original Trustee of the Fort Meade Museum Historical Foundation, a Governor appointed Commissioner for Maryland African American History and Culture, a former committee chairperson and board member of the Arundel Habitat for Humanity, former historian for the East Coast Chapter of the Tuskegee Airmen, Inc. and a former board member of the Detroit Tuskegee Airmen Museum. He designed and produced a highly successful exhibit at the Banneker-Douglas Museum titled: “Blacks in the Military From the Revolution to Vietnam.” He is a photo historian and lecturer on Black Military History. He is a designer/conducted lectures and training seminars on Human Resource related subjects, i.e. race relations, stress, public speaking, etc. He is a member of the Retired Officer Association, the American Legion, The Tuskegee Airmen and the Disable Veterans Association. He is a member of NAACP.